Now is a good time to assess both cow body condition and feed resources and develop a plan to provide adequate nutrition to meet cow needs. Photo credit Troy Walz. For cow-calf producers, the last few months have been very challenging from a weather standpoint. This has left many first-calf heifers and cows in less than optimum in terms of body condition at the time of calving. Weather conditions have also significantly depleted feed resources available as many producers have had to feed earlier and more than normal. For cows to start cycling, conceive and maintain a 365 day calving interval, it is important that thin cows, those in a less than a body condition score of 5, be gaining weight from calving through breeding. Cows in a body condition score of 5 or 6 need to be at least maintaining body condition during this time. Now is a good time to assess both cow body condition and feed resources and develop a plan to provide adequate nutrition to meet cow needs. Body condition score cows, making note especially of higher risk females that may need additional energy and protein to meet nutrition needs. Resources on cow body condition scoring can be found at the beef.unl.edu website. Inventory feed on hand, noting both quantity and quality. Prioritize quality of feedstuffs to younger and thinner females. If possible, sort thin and adequate condition scores into different feeding groups. This will help develop a feeding plan that will maintain cows in adequate body condition or will provide needed weight gain for thin cows prior to and through the breeding season. When additional feed resources will need to be purchased to meet cow nutrient requirements, consider pricing them on a price per unit of protein and energy to find the best buy. The Feed Cost Cow-Q-Lator is an Excel® spreadsheet tool that allows producers to compare different feed options to one another. Identify ways to minimize feed waste and effectively utilize feed resources. If feeding daily, consider the use of the ionophore monensin to improve feed efficiency for cows. The use of CIDRs (Controlled Internal Drug Release) on cows that are at least 20 days post calving can help initiate estrus in cows that are on an adequate plane of nutrition. For thin, lactating, non-cycling cows, early weaning of calves can provide an effective way to drastically reduce cow nutrient requirements and also induce estrus. Nebraska Extension has both Specialists and Educators who can assist producers with developing rations to meet cattle nutrient needs. 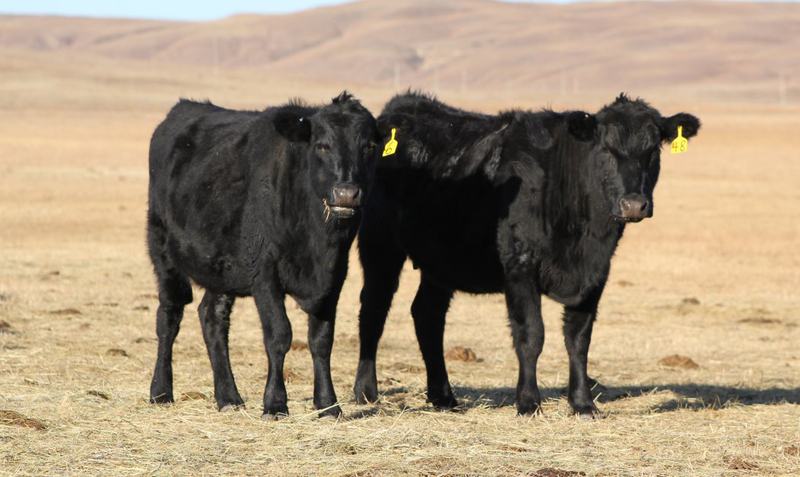 Taking time to assess both cow body condition and feed availability can help producers develop an effective plan for a successful breeding season. Interviews with the authors of BeefWatch newsletter articles become available throughout the month of publication and are accessible at https://go.unl.edu/podcast.